We are a leading Manufacturer of enzuta 40mg, abirapro tablet and kabanat 60mg/1.5ml inj from Chennai, India. 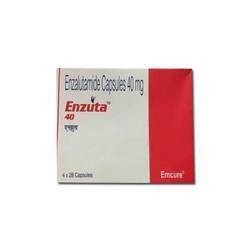 Enzuta 40 mg Capsule is used in the treatment of prostate cancer. Enzuta 40 mg Capsule is an antiandrogens. It works by blocking the effect of the natural male hormones on the growth of prostate cells. This medication is used along with prednisone to treat men with prostate cancer that has spread to other areas of the body. Abiraterone belongs to a class of drugs known as anti-androgens (anti-testosterone). Testosterone, a natural hormone, helps prostate cancer to grow and spread. 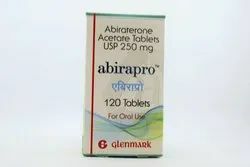 Abiraterone works by blocking the production of testosterone, thereby slowing the growth and spread of prostate cancer. Kabanat Injection is used in the treatment of prostate cancer. Kabanat Injection is an anti-cancer medication. It works by damaging the genetic material (DNA) of the cancer cells and stops their growth and multiplication. Looking for prostate cancer ?